Soon to end 2016 showed great leaks in Cyber Security. From famous Celebrities like Rahul Gandhi, Vijay Mallya and so one to Fortune 500 companies, 2016 Clearly Showed no one is safe from highly sophisticated Hackers. We are regularly being under surveillance and are prone to attacks. It's getting tougher by each day to keep our sensitive information safe. Traveling towards the final weeks of 2016, let’s follow in the past year to see what we can learn from previous breaches and how we can change our behavior to avoid being a victim unbelievable next security breach. Must Read: Join EHC in Fight Against Cyber Crime. One of the largest data breaches in recent history where Yahoo! lost 500 million usernames, passwords, telephone numbers, dates of birth, and even security questions that were eventually linked back to a hack that occurred in 2014. The company claimed they were slow to report the breaches because they were unsure of who was responsible. They urged all users to change their passwords immediately. Must Read: Sponsor EHC and Support Fight Against Cyber Crime. At the end of February this year, one of the most popular messaging apps revealed that data of some of its current and past employees had been compromised. The scammer was able to obtain some of the data by pretending to be the company’s CEO, Evan Spiegel in an email requesting payroll information. Snapchat claimed it took action within four hours and reported the incident to the FBI. The takeaway: While the good news is that Snapchat’s user data was safe, this incident proves that even the hottest, most tech savvy companies are vulnerable to data breaches. Educate employees on how to detect potential phishing scams with training, reference materials on the intranet, or even through fake phishing tests. Must Read: Top 10 Internet Security Tips. 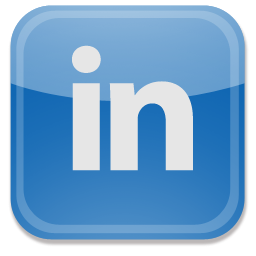 Originally the hack occurred in 2012, it again hit LinkedIn this summer when news broke that hackers were selling login credentials of 117 million LinkedIn users, including Facebook founder Mark Zuckerberg, on the black market. To make matters worse, the breach highlighted the company’s lack of transparency on what level of security they even offered. Back in 2012 when the data was originally stolen, it’s unclear what level of encryption LinkedIn applied to passwords, which creates a lot of uncertainty around how this breach actually occurred. EHC TIPS: Sometimes changing your password isn’t enough. Users should turn on two-factor authentication when possible. This added layer of security sends a notification to your phone each time your account is logged into from a new device. So what have we learned from these breaches? How can we best prepare ourselves for the potential threats that 2017 holds? If these breaches taught us anything, it’s that every individual and every company is at risk. Hackers are getting more smarter. Every individual needs to take security more seriously. Everyone should be educated on best password practices, require the use of a password manager, and set up two-step authentication wherever possible. The biggest lesson from the great breaches of 2016 is that every-single@password matters; don’t be lazy. Make each password freakish and you’ll be much secure from being a victim to a breach in the future.